Searching for a French city offering a blend of beauty and history ? 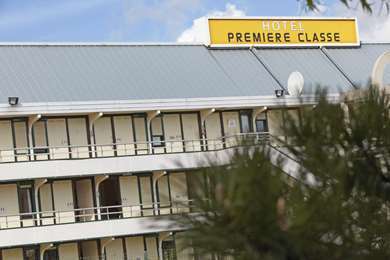 Then the city of Troyes and Premiere Classe Hotels are the perfect choice! Troyes is a city located in the Champagne-Ardenne region of north-central France. It is also the capital of the Aube department. The city lies on the Seine river and is about 93 miles southeast of Paris. The city centre is famously shaped like a Champagne cork—simply a coincidence, as Troyes lies at the heart of the Champagne region of France, where the eponymous sparkling wine is produced. Troyes was the seat of a bishop from the fourth century though it was several centuries before it gained importance as a medieval centre of commerce. At the end of the ninth century the counts of Champagne chose Troyes as their capital where it remained until the Revolution. During the Middle Ages it was an important trading town with the revival of long-distance trade and new extension of coinage and credit being the real engines that drove its economy. The great fire of 1524 destroyed much of the medieval city, in spite of the city's numerous canals, but many of its half-timbered houses have still survived in the old town. Two days is just about enough time to get to know the city of Troyes. 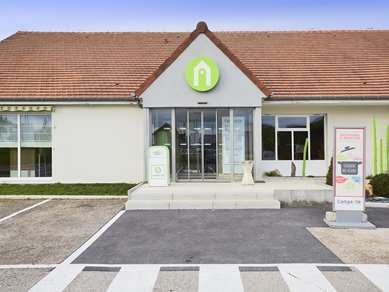 Premiere Classe Troyes – La Chapelle Saint Luc Hotel is just a short walk from the city centre while Premiere Classe Troyes Sud – Bucheres Hotel is just a short taxi ride. Your first stop should be the old town where you will be able to see the 16th century half-timbered houses that survived the great fire. There you will also be able to see the majestic Hotels Particuliers of Hotel de Marisy and Hotel du Lion Noir. Head closer to the city centre and you will find Hotel de Ville which houses a marble medallion of Louis XIV. The city has plenty of churches and museums so for your second day why not visit the Historical Museum of Troyes and Champagne-Ardenne and the Museum of Modern Art before exploring Saint-Pierre-et-Saint-Paul Cathedral and the Saint-Nizier Church. A week is the perfect amount of time to fully appreciate the city of Troyes and the surrounding Champagne-Ardenne region. In Troyes why not check out the Museum of Fine Arts and Museum of Hosiery or if you fancy some more churches then the likes of the gothic Saint-Urban Basilica and the Saint-Madeleine Church are on offer. Champagne is world-famous for its sparkling wine so it is a great destination for wine tours round the numerous vineyards. Also in the region lies Langres which many people visit for its famous ancient defensive walls and Chalons-en-Champagne for its cloister. Troyes makes for a great place to take the whole family! Whether it is browsing the antiques fair, a trip to the Moscou Theatre Ballet or shopping in the McArthur Glen Troyes mall there will be something for everybody! Troyes is served by Troyes-Barberey Airport, located 2km northwest of the city. It is a small airport that only offers regional flights. The city’s train station, Gare de Troyes, is situated on the Paris-Mulhouse railway line and offers connections to Paris, Dijon, Mulhouse and several other regional destinations. If you are driving Troyes is also at the junction of the A5 towards Paris and Langres, and the A26 towards Reims and Calais. The TCAT provides buses that go to the urban areas of the city. 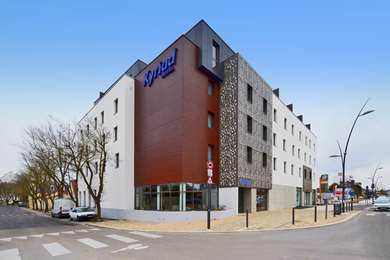 The Premiere Classe Troyes – La Chapelle Saint Luc Hotel will make sure you are close to the city centre. The Champagne Ardenne region boasts rich and fine food that are a perfect example of French gourmet food. ‘Boudin blanc’ is a traditional dish of white sausages, made from meat, eggs, spices and milk, served with roasted potatoes. Other favourites include ‘champagne joute’ (a stew of vegetables, sausages and ham), ‘andouillette de Troyes sausages’ (sausages made of intestines and stomachs) and ‘biscuits roses de Reims’ (pink biscuits often served with champagne). The region of Champagne-Ardenne has many festivals on offer throughout the year. Perhaps the biggest is the Champagne-Ardenne Festival in Troyes which honours a different artist, of a variety of genres, each week with concerts at different places each night. Other highlights include the Furies Festival in Chalons-en-Champagne in June which has circus and theatres shows taking place in the city’s streets and the Children Acting Festival in Charleville-Mezieres which showcases some of the hottest new children’s films. Troyes is twinned with five cities including Chesterfield in England.